Learn something about our dogs and about us, by clicking on menu items on the top of our homepage. If we do not have puppies ourselves, we would like to connect you with other kennels that may have. We hope you enjoy our website, and that you like our page. Under “vores hunde” you can read about our dogs. Here you can read about us. 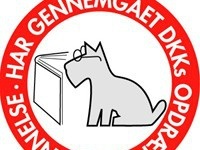 As breeder, naturally we are member of The Danish Kennel Club and Danish HuntingDachshund Club. 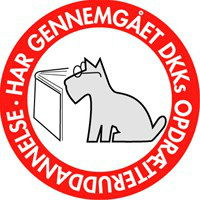 We have passed the new Statutory "Hunderholderuddannelse" and our kennel is approved by the DKK.